There are so many options out there when it comes to buying a car, it’s a bit of a mine field. It is such a lot of money to spend on something, so it has to be right. But where do you start? How do you know what will be best for your family? We used to have a Vauxhall Corsa and as good as it was, it was too small and just didn’t work for us as a family of four. Our current family car works really well for us, it’s spaceous enough for everyone, the boot is big enough for holidays and it’s economical to run. We put a lot of time and thought into purchasing our car and I think we got it right, so I thought I would share the things that we considered when looking for a new family car. Probably the most important factor when looking for a family car is the size. Of course you need to be able to fit car seats in and also consider leg room. And then there’s boot capacity, do you take your car on holiday with you? Do you need to fit a lot of luggage in the boot? Whether you’re buying out right or purchasing on finance, you need to work out your budget first of all. Once you have your budget set you need to make sure you get the best possible deal for your money. Shop around, carefully consider your options and always negotiate. If you are looking at finance options, use an online car finance calculator to get a tailored quote. There are lots of things to consider when adding up the running costs of a car. First of all the insurance group, you can quickly and easily get a quote online to get a pretty accurate idea of what your insurance cost will be. Then there’s road tax and fuel economy, make sure you look into all of these. Of course with a family to look after, safty is of paramount importance. When shopping for our car we used the Euro NCAP website to look up different cars safety ratings. Make a list of everything you want in a car. We made a list of needs and a list of wants, it’s unlikely you are going to get absolutely everything you want in a car so just make sure you know what things you 100% need. 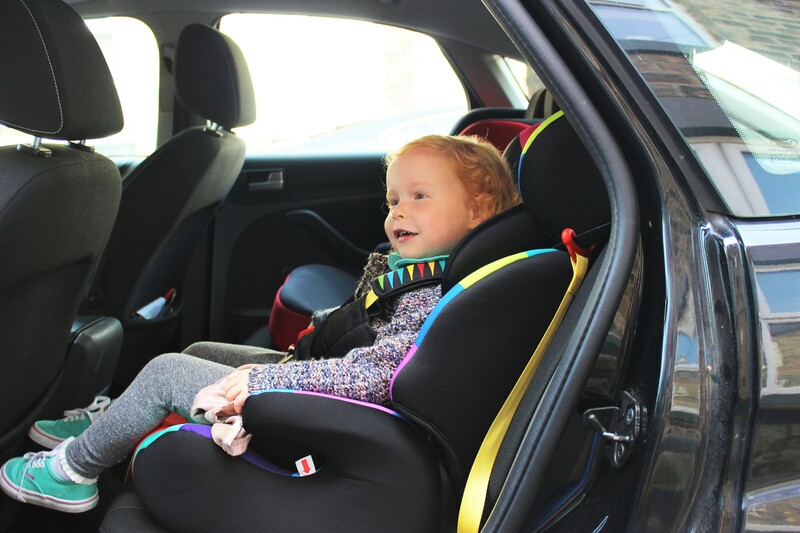 With children to consider it might be worth looking at extras such as isofix for car seats, built in sat nav, fabric protection, DVD system etc.